Herpes XL 10" under a microscope! FACTS: Herpes is one of the great-granddaddies of sexually transmitted diseases – the word “herpes” (Greek for “creep”) was used by Hippocrates himself 2,500 years ago to describe lesions that appeared to creep along the skin as they spread. In many instances, herpes infections produce no symptoms at all, which naturally helps them to spread. In fact, the traumatic outbreaks typical of the disease occur in only about a third of cases, depending on the strength of the immune system, the length of time the person has been infected (outbreaks decrease with time), and whether the virus is ensconced in its favorite spot. And if that sounds confusing, it is – particularly for those who carry the heavy social stigma of having their herpes in the wrong place. 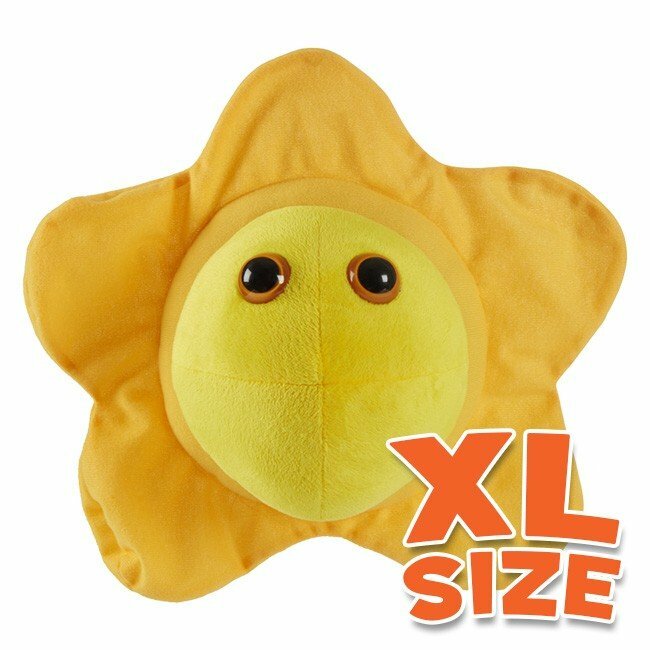 All about Herpes XL 10"
The name comes from the Greek word ‘herpein’, meaning 'to creep or crawl'. It describes how the sores seemed to creep and crawl over the surface of the skin. 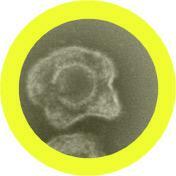 A single virus can range from 120 - 300 nanometers. That’s at least 150 thousand times smaller than a dime! Herpes is skin disease caused by two different strains of a virus group called Herpes Simplex Virus, or HSV-1 and 2. It’s spread through close personal contact with saliva, mucus and other body fluids. Herpes is a very common sexually transmitted disease that affects one in five adults at any given time! Herpes causes painful open sores around the mouth and genital regions. Most people who contract HSV show no signs or symptoms of it and never know they even had it! A vaccine is currently under development, but until it’s ready, Herpes is treated with an antiviral drug called Acyclovir. This disease was first recognized by Hippocrates in the first century BC. It’s literally as ancient as the Greeks! Two thousand years ago, Roman Emperor Tiberius attempted to control an outbreak of herpes by outlawing kissing during public ceremonies and rituals. Famous people who died of it: Herpes isn’t a deadly disease, but it’s been associated with infamous womanizers throughout history. From 18th century Italian-adventurer, Giacomo Casanova, to 1978’s British pop-star, Billy Idol, Herpes finds a way to ruin any love story.